The annual IEEE International Ultrasonics Symposiums (IUS 2016) was recently held on September 18-21, 2016 in Tours, France. Jinwook Kim, a MAE PhD student from Prof. Xiaoning Jiang’s group, won the student paper competition award. 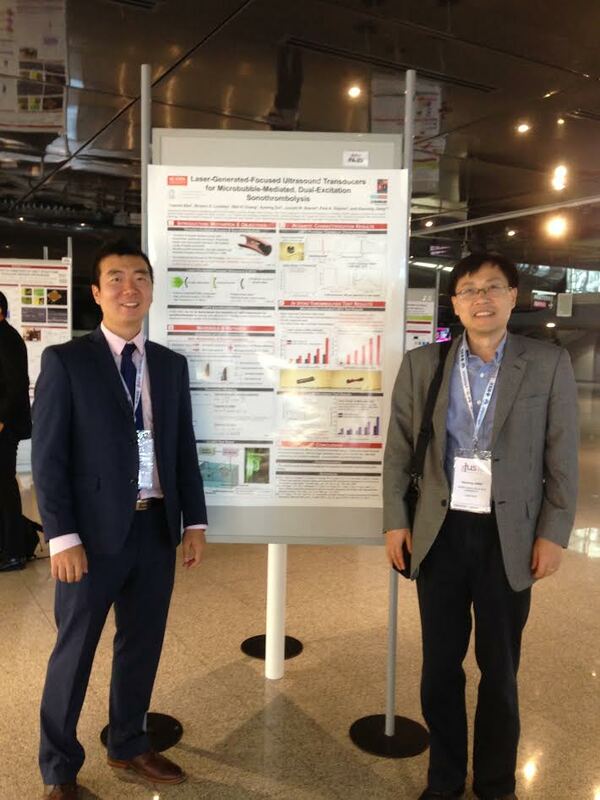 The paper titled “Laser-Generated-Focused Ultrasound Transducers for Microbubble-Mediated, Dual-Excitation Sonothrombolysis” was authored by Jinwook Kim (NCSU), Brooks D. Lindsey (UNC & NCSU), Wei-Yi Chang (NCSU), Xuming Dai (UNC), Paul A. Dayton (UNC & NCSU), Joseph Stavas (UNC), and Xiaoning Jiang (NCSU). There were more than 1000 papers entered the competition, and 23 papers from 5 topic groups were selected as finalists. The 6 final winners were announced on 9/20/2016 during the conference banquet. Jinwook is the only winner from group 5 (Transducers and Transducer Materials). There are total 5 topic groups in IUS (Group 1: Medical Ultrasonics; Group 2: Sensors, NDE & Industrial Applications; Group 3: Physical Acoustics; Group 4: Microacoustics: SAW, FBAR, MEMS; Group 5: Transducers & Transducer Materials). 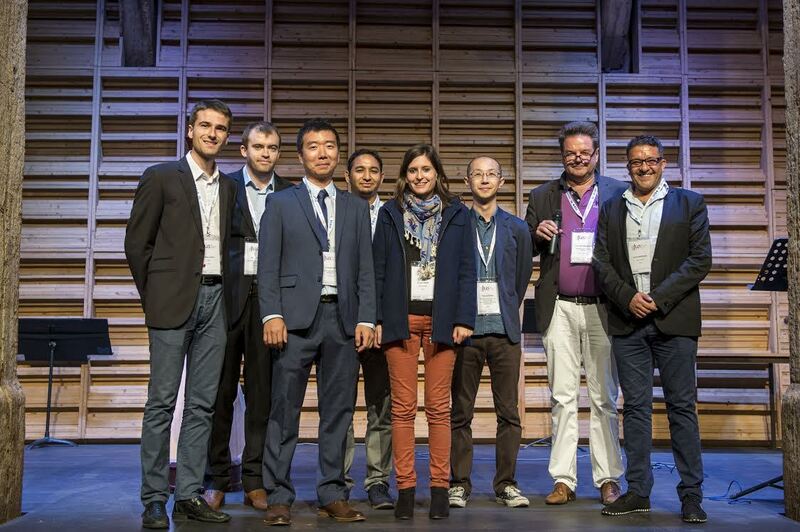 Six award winners (Jinwook-3rd from the left) with the Conference General Chair (Dr. Ayache Bouakaz, last from right) and Technical Chair (Dr. Ton van der Steen, second last from the right).